Growing up in Northeast Ohio, Randy Varacall had always felt the allure of the coastal California lifestyle. After moving to California, he spent 30 years as a renter, hoping that one day he would have the opportunity to own his own home. 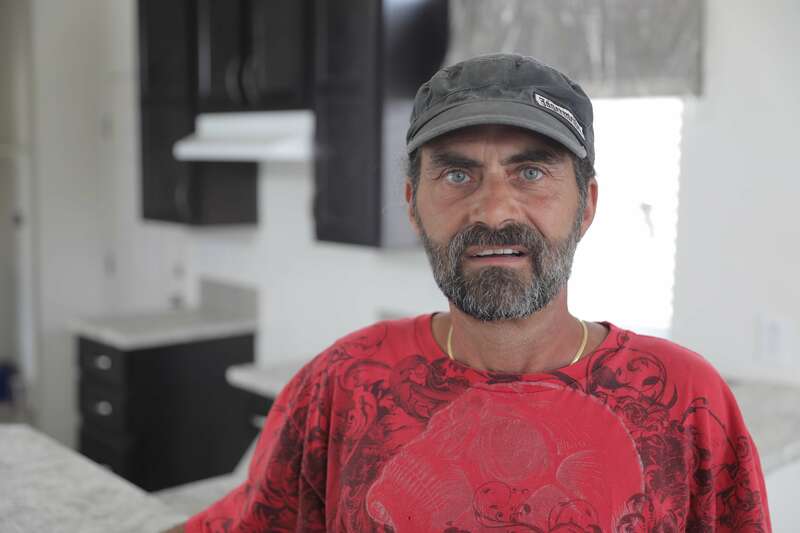 Ten months ago, he finally found his homeownership opportunity – a 1966 Fleetwood mobile home in the Del Amo community in Long Beach. The community’s management team made the stipulation that Randy do some repair work to the home as a requirement for moving in. A jack-of-all-trades, he had planned to fix up the home himself, but unfortunately was injured on another job. Unable to take on the extensive work, he applied for a repair program through Habitat for Humanity of Greater Los Angeles. Working with the team at Habitat, Randy was able to place a brand new, energy-efficient home and place it in the same community – at no cost to him.